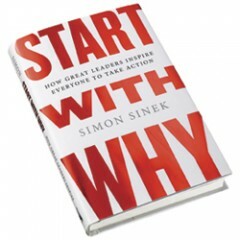 The Emphasize Team has recently started to adopt some of the premises outlined in the book “Start With Why: How Great Leaders Inspire Everyone to Take Action” by Simon Sinek. A chapter titled Give ‘Em a Cathedral” describes the interesting story of two different stonemasons – each doing the same job, but each for a different purpose. “Consider the story of two stonemasons. You walk up to the first stonemason and ask, “Do you like your job?” He looks up at you and replies, “I’ve been building this wall for as long as I can remember. The work is monotonous. I work in the scorching hot sun all day. The stones are heavy and lifting them day after day can be backbreaking. I’m not even sure if this project will be completed in my lifetime. But it’s a job. It pays the bills.” You thank him for his time and walk on. A well-documented business fact is that companies that foster a strong sense of camaraderie and trust enjoy more success. The idea of working together towards something is a positive motivator, as is a very clear understanding as to the ultimate goal. We at Emphasize realize that even though we all love our jobs, even the exciting world of web design can get a little tedious at times. Thankfully, we’re all far from the point of long-term boredom, but the question was raised, that should it happen, what should we do about it? How do we continue to keep it interesting? How do we make sure we never stop innovating? The answer revealed itself quite quickly. We realized that all we had to do is keep asking ourselves those questions, and then work towards their solution. Our purpose, our mission, is to always drive remarkable results to our clients. And to reach that goal we know we have to be a bit remarkable ourselves. We are grateful to be involved in a business that demands the best out of us, so that we can ultimately offer our best to you.